A bit farther along, we rolled into Tasman National Park, where we stopped for a bit of a hike along the rugged coast. As with the Tessellated Pavement, rocks are a big part of what makes this area interesting. 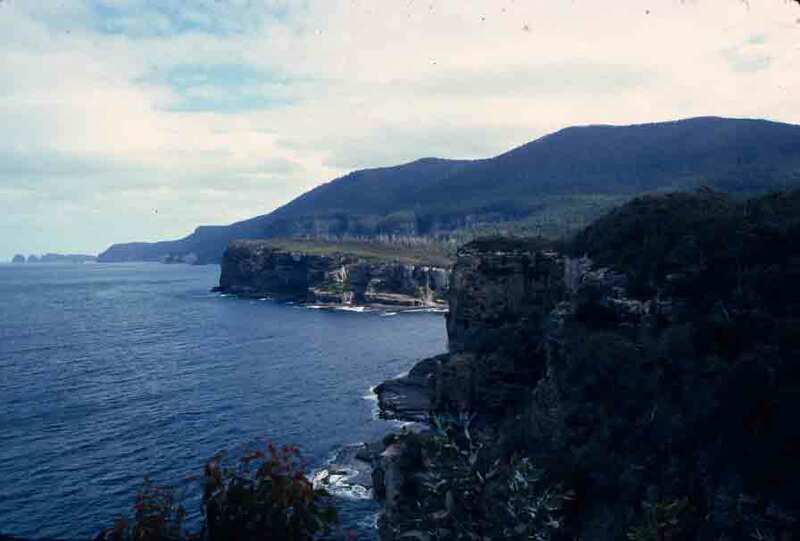 In fact, much of the geology of this region reveals that Tasmania was once connected to Antarctica. While the sandstone and granite found here are common in the rest of Australia, the dolerite that makes up much of this coast is not found on the Australian mainland, but is abundant in Antarctica. There are also species of plants, such as the Antarctic beech, that appear only in Tasmania—and as frozen fossils in Antarctica. However, as we were hiking along the coast, it was the beauty of the rocks, rather than their association with Antarctica, that was delighting us. Here, the nearly 1,000-foot cliffs are a veritable gallery of formations, with sea caves, arches, and stacks fringing the formidable shore. 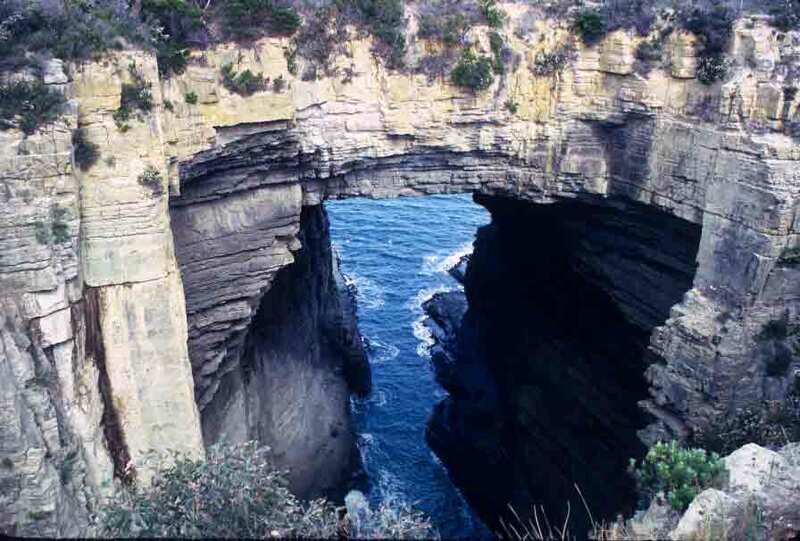 Below, on the left, is the Tasman arch, one of the sea-carved features of the park, and on the right is a sideways glance along the coast of the Tasman Peninsula. The Latin word tesserae originally meant “dice,” but it came in time to refer to the cube-shaped stones the ancient Romans used to create mosaics on floors, courtyards, pools, baths, and other places a really durable, water-proof, and yet highly decorative surface might be desirable. Some of these mosaics were simple geometric patterns, but some were fabulous works of art. Because they used the dice-shaped stones, these mosaic-paved surfaces became known as tessellated pavements. Over the millennia, the term “tessellation” became attached to anything that created a mosaic-like pattern, from actual mosaics to quilt patterns to mathematical constructs to some of M.C. Escher’s artwork. The term “tessellation” is also applied to the geological phenomenon of rocks that are fractured by tectonic movements along regular, geometric lines, forming what look like quarried columns or building blocks. If that tessellation happens to take place close to the ocean, a natural tessellated pavement can occur, as the tide sweeps in and out, wearing down those columns into what looks like a carefully constructed pavement. However, this is a rare phenomenon. 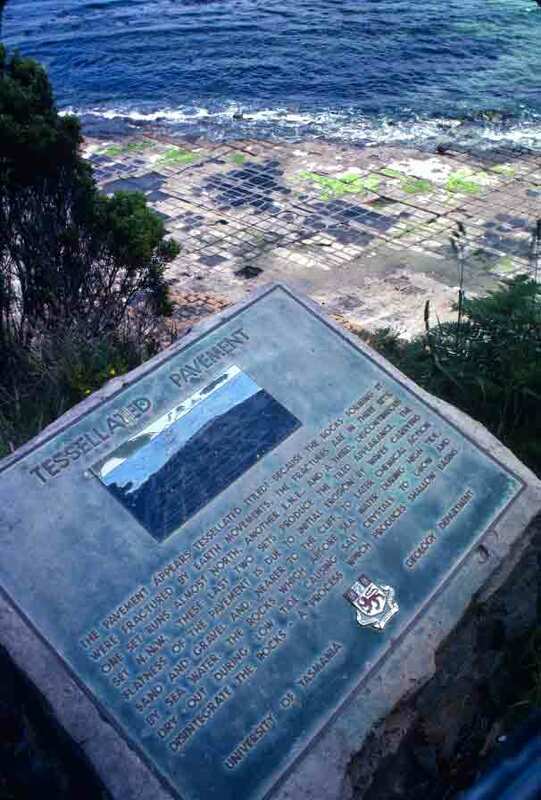 If you do an Internet search of “tessellated pavement,” the place you will be shown most often was our next destination, as we continued down onto the Tasman Peninsula. The peninsula narrows sharply at a place called Eaglehawk Neck, and here, sea and sand have worn away the ancient rock, forming the Tessellated Pavement. The image below shows the cliff-edge marker that identifies the spot for visitors and explains the natural forces that created the Tessellated Pavement below. On the road again, we visited wonderfully historic Richmond, with its many buildings dating to the early 1800s. I won’t recount the history here, as it’s all in the book (good stuff, too: escaped Tasmanian convict goes to the U.S. and ends up as a politician! ), but I do want to give a glimpse of what charmed me there. All over Australia, posted signs reveal the Aussie sense of humor. 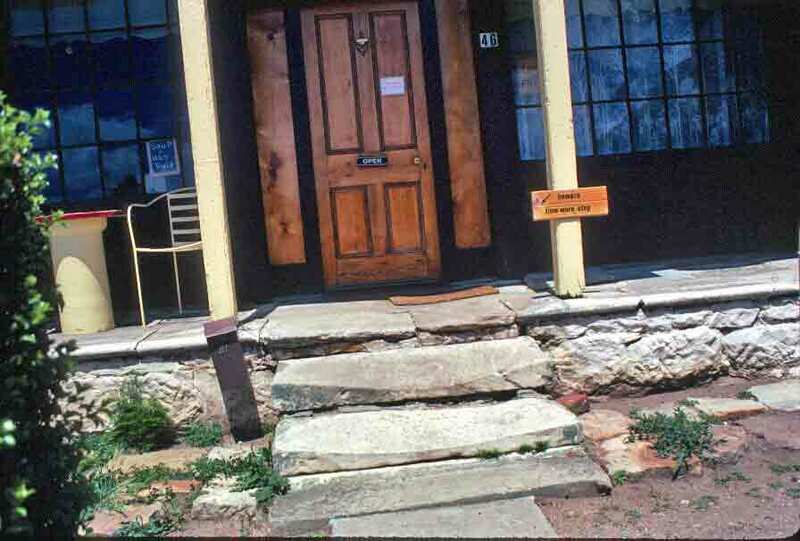 In Richmond, the one that caught my eye cautioned “Beware: Time Worn Step.” You can see the sign—and the time-worn step—in the photo on the left. 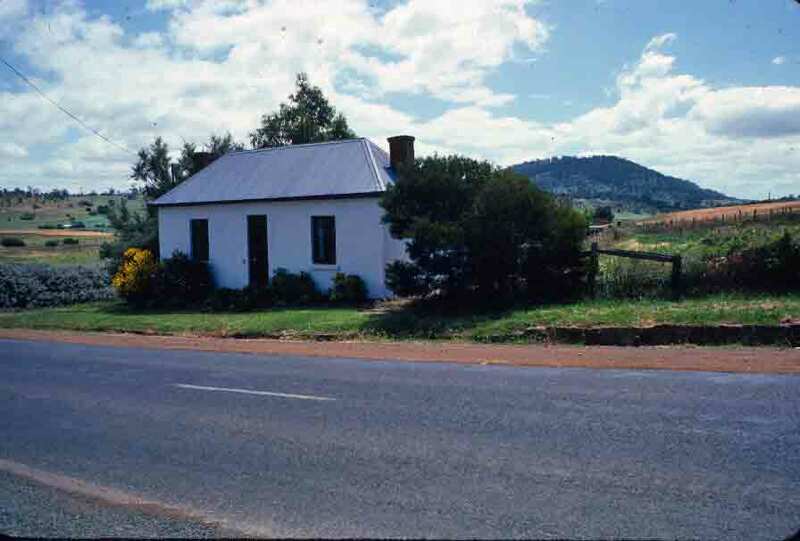 I also loved a small cottage on the edge of town, one that, in its verdant setting, looked as though it might be in England, rather than Australia. That’s one of the lovely ironies of Tasmania—it does not give you a lot of visual clues that it is an island in the South Pacific!